It was for the first time a presidential candidate attended an Indian American event this election season. "I am a big fan of Hindu and I am a big front of India. 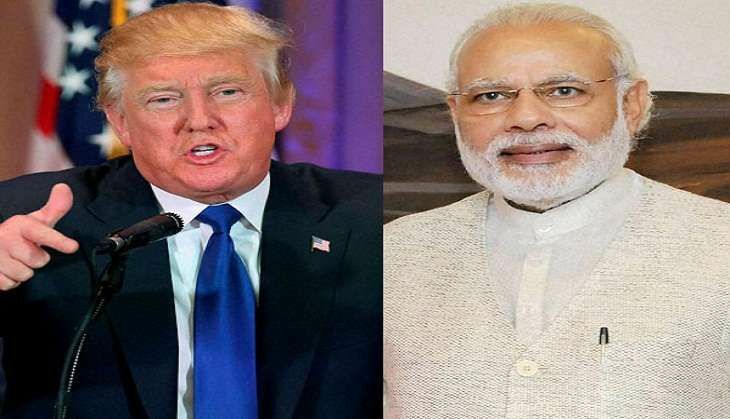 If elected, the Indian and Hindu community would have a true friend at the White House," Trump said, adding that he has great confidence in Modi and India. "I was there 19 months ago and look forward to going there many many times," he said at the event organised for the Kashmiri Pundits and Bangladeshi Hindu terrorist victims. Trump appreciated India's role in fight against terrorism. "We appreciate the great friend India has been to the US in the fight against radical Islamic terrorism," he said as he slammed his Democratic rival Hillary Clinton for not using this word. Trump said India had seen brutality of terrorism, including the Mumbai attacks. "Mumbai, a city, I love. The attack on India was absolutely outrageous," he said while assuring some 5,000 Indian-Americans at the event that if he becomes the president, the US would "share soldier to soldier together" in the fight against terrorism. "India is key and a key strategic ally," he said, adding that he looks forward to deepening and strengthening military cooperation with India. In his welcome address, the Republican Hindu Coalition founder and chairman said that this is the first time in the history that a major presidential candidate has addressed Hindu-Americans just three weeks before the election. He urged Hindus to support and vote for Trump in the upcoming general election and help fight terrorism.